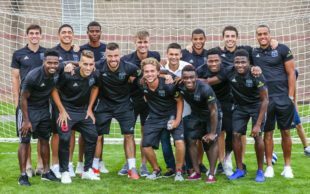 Bethlehem Steel FC have announced the first wave of roster changes looking toward the 2019 season. These changes reflect sporting director Ernst Tanner’s commitment to making Bethlehem younger in 2019. PSP can also confirm that veteran players James Chambers (M, 31), Matt Mahoney (D, 23), and Drew Skundrich (M, 23) are currently in talks to return. As in previous years, there will be additional changes between now and February. Wow. That’s not leaving a lot of players on the roster…. they started 2018 with only 4 returning veterans, remember. And Tanner has admitted that the scouting staff may not be able to find enough teenagers world-wide to fill the squad. if that happens, NCAA is a source to fill the holes, if the academy cannot do it. Ernst doesn’t have to move to the model you suggest. that has always been the priority. Tanner’s change is the age. He is betting that with three veterans Brendan Burke and Steve Hogan can continue to work magic. Burke has used the phrase “knife-edge balance” between youth development and competitiveness. Union really wielded the ax. Staying true to the “2 years to the first team or you’re out” plan. That being said, if I count correctly, there will be a max of 28 players on a pro contract in the organization, assuming the likes of Skundrich, Mahoney, McCarthy, et. al. get renewed offers. I don’t have great insight into what the academy or offseason holds, but squad seems pretty thin to me. What’s the harm in holding onto a Marcus Epps, Santi Moar, or Brandon Aubrey for another year and see if they can break through. I agree on 28, assuming all uncertainties and negotiations resolve to returns. but they may not. to play devil’s advocate, are you doing the player who won’t really cut it any favors by keeping them? Burke uses the phrase that it’s not a good fit.